Ruby Yang is a noted Chinese American filmmaker whose work in documentary and dramatic film has earned her an Academy Award, two Academy nominations, and numerous other international awards, including an Emmy, the Alfred I. duPont-Columbia Journalism Award, and the Global Health Council Media Award. Along with Producer Thomas Lennon, Yang founded the Chang Ai Media Project in 2003. Since then, the organization’s documentaries and public service announcements promoting AIDS awareness have been seen more than 900 million times. Chang Ai’s trilogy of short documentary films about modern China, all directed by Yang, include “The Blood of Yingzhou District,” which won an Oscar in 2007, “The Warriors of Qiugang,” which received an Academy Award nomination for best documentary short in 2011, and “Tongzhi in Love,” which was short-listed in the same category in 2008. 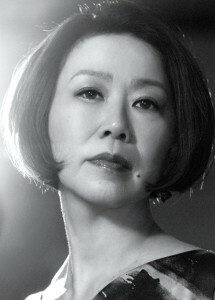 Prior to her work in Beijing, Yang directed the 1997 production “Citizen Hong Kong,” which the Chicago Reader called “unflinching in its honesty, vivid in its kaleidoscopic imagery.” “Citizen Hong Kong” aired on PBS during Asian-Pacific American Heritage Month, as did two of Yang’s other films: “China 21” (2001), and “A Moment in Time” (2009). All three productions went on to be shown in Hong Kong, Taiwan, and across Europe. Born in Hong Kong, Yang moved to San Francisco in 1977. She graduated from the San Francisco Art Institute with a BFA in painting and an MFA in filmmaking. She relocated to Beijing in 2004. She now joins the University of Hong Kong as Hung Leung Hau Ling Distinguished Fellow in Humanities at the Journalism and Media Studies Centre. Yang is a member of the Directors Guild of America and the Academy of Motion Picture Arts and Sciences.